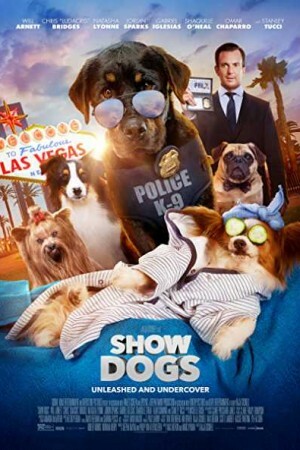 Show Dogs is an upcoming Hollywood comedy, kids and family film directed by Raja Gosnell. The movie is set in a world where dogs and human co-exist. Max is highly reputed Rottweiler police dog who gets paired with a human detective Arnett to stop a disaster from happening. They both get secretly appointed as undercover agents in a highly prestigious and exclusive dog show and ordered to find out the person responsible for the secret and disastrous activities going on in the dg show. This leads Max and Arnett to hilarious events that turns the hate between them into a great bond of friendship and trust between dogs and humans.